• To make room on the 40-man roster for Ricky Nolasco and Phil Hughes the Twins designated Liam Hendriks for assignment, cutting the 24-year-old right-hander loose just two seasons after he was named the organization's minor league pitcher of the year. Of course, last season's minor league pitcher of the year, B.J. Hermsen, has already been removed from the 40-man roster too and this year's winner, Andrew Albers, isn't exactly destined to remain there forever. There's obviously a lot more to the story, but that list is a good indicator of when things started to go wrong for the Twins. As for Hendriks, he's been terrible in the majors so far and even when he was putting up nice-looking numbers in the minors I was never a particularly big fan, viewing him as a potential mid-rotation starter long term. Still, considering his age and the replacement-level talent still residing on the 40-man roster letting him go isn't the call I'd have made. • Even after adding Nolasco and Hughes the Twins are apparently still trying to re-sign Mike Pelfrey, which makes zero sense to me. 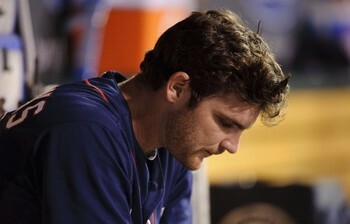 He was a mess for the Twins and while he'll be another year removed from elbow surgery the problem is that Pelfrey was never much good before the injury with a 4.36 ERA and measly 5.1 strikeouts per nine innings for the Mets. I'd rely on young arms before turning back to Pelfrey and the idea of a two-year deal seems all kinds of misguided. • Free agent outfielder Rajai Davis signed a two-year, $10 million contract with the Tigers and in doing so reportedly turned down a two-year offer from the Twins. Davis is incredibly fast, stealing 60 bases per 600 plate appearances during the past five seasons, but also hit just .271/.317/.382 over that span and is a surprisingly mediocre defender. It's interesting that the Twins made a run at him, because they're certainly not short on outfielders at the moment. • Miguel Sano stopped playing winter ball in the Dominican Republic last month because of an elbow injury and the Twins are still waiting to determine whether Tommy John surgery is needed. That would obviously be a huge blow to Sano considering how close he is to the majors and how much of his ability to remain at third base revolves around arm strength, but position players do recover from Tommy John surgery more quickly than pitchers. Still, not good. • Garrett Jones, who left the Twins as a minor-league free agent way back in 2008, signed a two-year, $7.5 million contract with the Marlins. I'm not sure why the Marlins of all teams need a mediocre 33-year-old first baseman coming off a career-worst season, but good for him. Jones always showed good power in the minors, but his all-around skill set was never very impressive and his hitting .256/.318/.462 in five seasons for the Pirates definitely qualifies as a surprise. 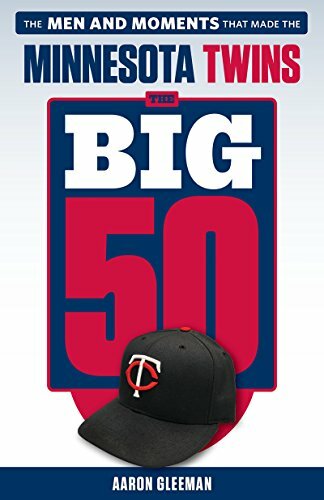 • As of now the 40-man roster is full and Terry Ryan indicated that the Twins don't plan to pick anyone in the Rule 5 draft Thursday. Last year they selected Ryan Pressly from the Red Sox and he stayed in the majors all season as a low-leverage reliever, throwing 77 innings with a 3.87 ERA and 49-to-27 strikeout-to-walk ratio at age 24. • Tickets won't go on sale until Friday morning, but here are the details on the next Twins Daily and "Gleeman and The Geek" event. Should be a good one. 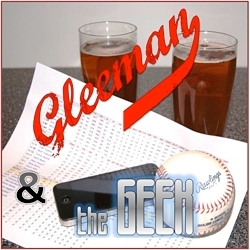 • On this week's "Gleeman and The Geek" episode we talked about the Twins missing out on free agent catcher targets A.J. Pierzynski and Jarrod Saltalamacchia, the new homes for Justin Morneau and Joe Nathan, and Hendriks getting dropped.